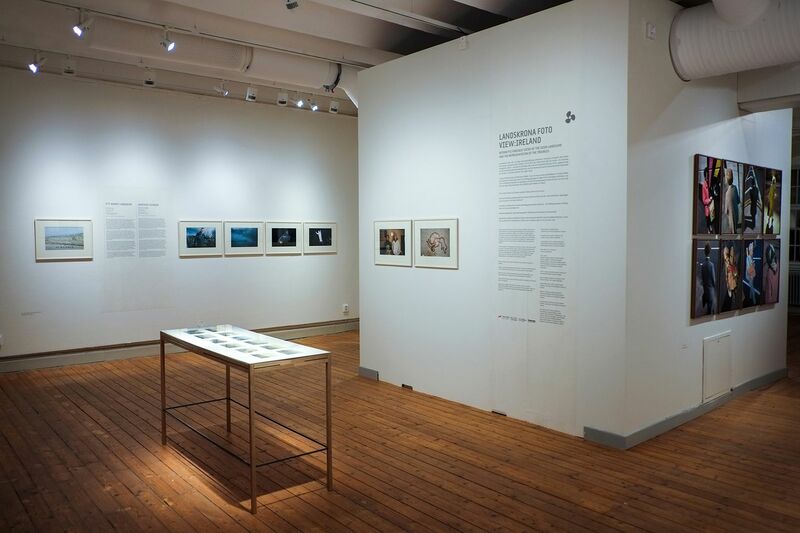 For the last two years, Landskrona Foto in Sweden has presented photography from a selected country. The series began with Turkey, followed by the Czech Republic, and in 2016 the focus will be on Ireland. Landskrona Foto: View Ireland will be shown at Landskrona Museum. In this exhibition of photographic history we relate to the visual cliché of Ireland. The image that has stuck on picturesque postcards and in newspaper features, and probably also in many people’s minds. How have Irish photographers actually viewed their homeland through history, and how do they view their own country today? Which photographers have related to The Image of Ireland? What pictures were never taken? As far as we know, there is no photographic documentation of one of the greatest disasters the country has experienced. When The Great Famine broke out in 1845, the camera had been known in Ireland for several years, but no one photographed the great famine. A decade later, however, when the county was still suffering the after-effects of the famine, photography was established in a completely different sphere. In the shelter of The Big Houses, upper-class ladies frequently used the new technique. Over a hundred years later the newspapers were filled with ink from a different trauma. Northern Ireland in the time of the troubles has been depicted by many people, but the media narratives about it have often looked very different. We find a more personal narrative in Patrick McCoy’s series The People’s Taxis (1998). Here we see very close-up portraits of passengers travelling in the black taxis on the Falls Road. The claustrophobic back seat becomes a reflection of the social strains of life in the midst of the conflict. In contrast to the depiction of violence there is the idea of Ireland as a fairytale country, the tourist’s dream of The Emerald Isle. In the collage series Irelantis (1990s) the photographer Sean Hillen smashes this illusion of a picturesque Ireland. In his postcard-size works we see a completely different, complex landscape. The exhibition also presents works by: Mary Countess of Rosse, Lady Louisa Tenison, Dennis Dinneen, Paul Seawright, Anthony Haughey, Trish Morrissey, Eamonn Doyle, Grace Weir, Laurence McKeown, Arthur Fields, Patrick Hogan Broomberg & Chanarin, Bertien van Manen and more. The curator of the exhibition is Jenny Lindhe in cooperation with Ángel Luis González (PhotoIreland), Ciara Hickey (Belfast Exposed) and Trish Lambe & Tanya Kiang (Gallery of Photography Dublin). Landskrona Museum 30 June – 25 September 2016. Previous PostPHOTOIRELAND FESTIVAL 2017 - coming up next MAY!